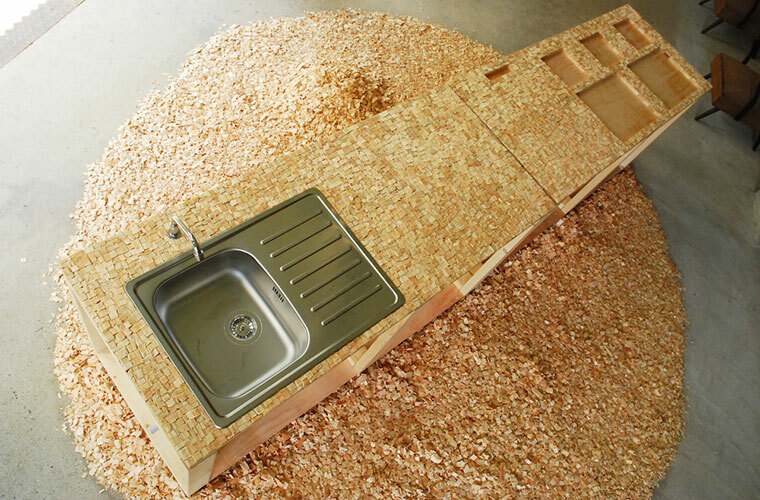 This work is an installation consisting of a “portable kitchen” and a ”wood chip floor”, and was constructed drawing on the memory of the exhibition place, a former lumber warehouse. The title “Frag(me)mento” is a compound word consisting of the English word “fragment” and the Latin word for keepsake, “memento”. 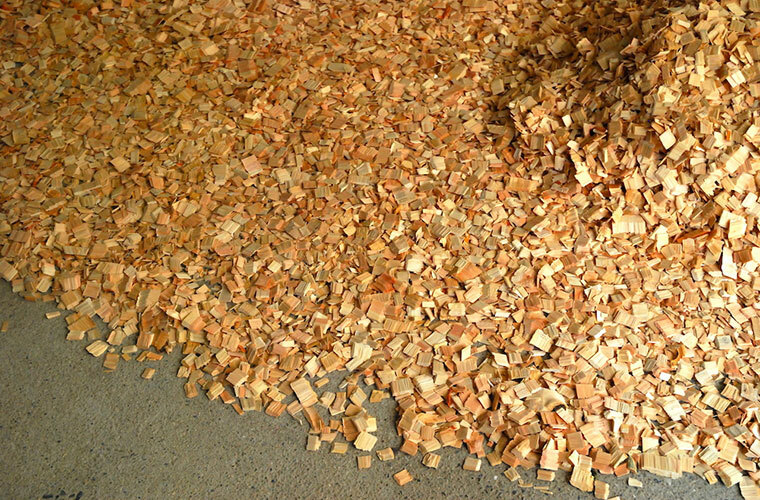 The kitchen tabletop was covered in cypress wood chips. To create a fully functioning kitchen, two portable gas stoves, as well as a sink connected to a water pipe and a drainage waste pipe were installed. The shape of the wood chip floor was changed daily, so that the room would be constantly filled with the scent of cypress wood. 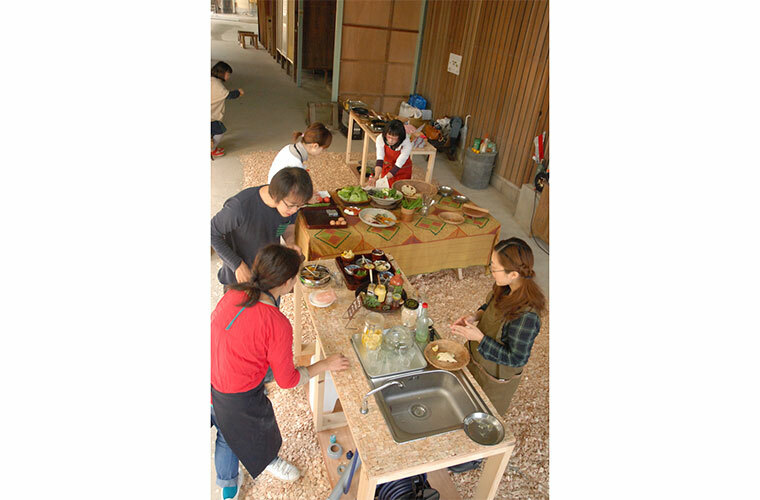 During the exhibition the installation was utilized for chef Atsuko Nakatani`s workshops and as a branch store of CAPIME coffee.